Josh Fulton is a living demonstration of God’s awesome ability to translate a life out of darkness and into the light. His testimony encourages others to believe that the Lord is able to change anyone. After spending 17 years of his life incarcerated, Josh was released from the D.C. Department of Corrections on January 10, 1993. By March, it was clear that he was headed for trouble again. Determined to make a change in his life, he decided to enter Teen Challenge in Brockton, Massachusetts. It was there that Josh encountered Jesus Christ, and accepted Him as Lord, on May 28, 1993. Immediately, he recognized life, as he had known it, would never be the same, and committed his life to the service of Christ. 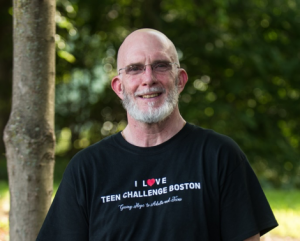 Josh continued to serve in many capacities in the Teen Challenge Ministry over 17 years, from chief bottle washer to holding the executive director position in both Boston and Brockton men’s campuses. Currently Josh is an associate pastor on staff at Jubilee Christian Church where he serves in multiple capacities. Josh is supported in his ministry by his wife Cynthia, along with their son, Eddie, and daughter, Rebekka. Teen Challenge New England & New Jersey is pleased to welcome Josh to his newest role as Alumni Network President.